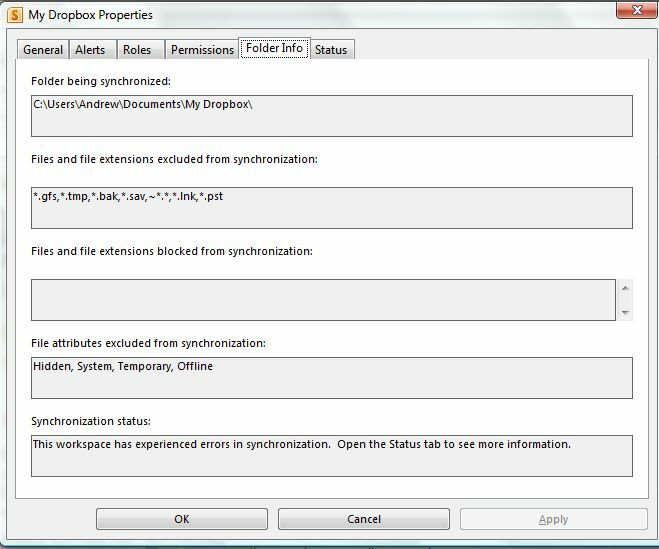 See screenshots for error I get every time a sync runs with Dropbox on my PC. I don't really understand the error, as all files in that folder are sync-able. Any idea what's going on? Thanks. I've never seen that dialog box, but I believe you need to remove "Hidden" from the list of file attributes to be excluded from synchronization (on the Folder Info tab). 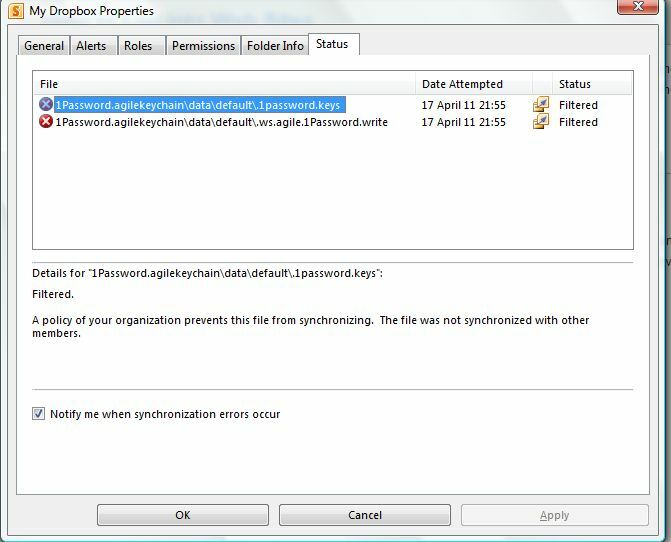 The 1Password data folder includes hidden files that must be synchronized, or your 1Password data won't be usable on your other Dropbox-sync'ed computers and devices.